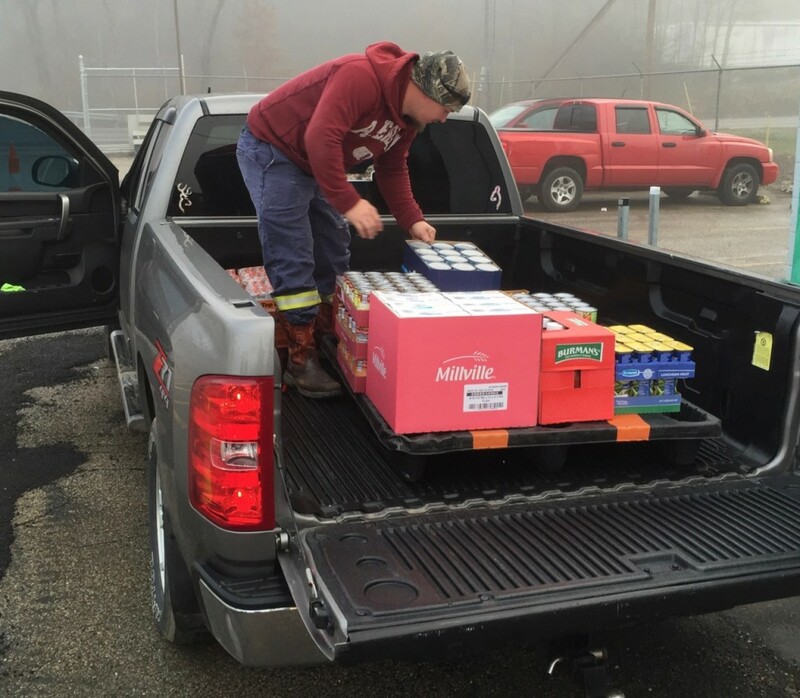 First Distribution-Saturday of 2016 for United Food Operation | United Food Operation, Inc. The first distribution-Saturday of the 2016 season went like clockwork at United Food Operation’s new warehouse facility. 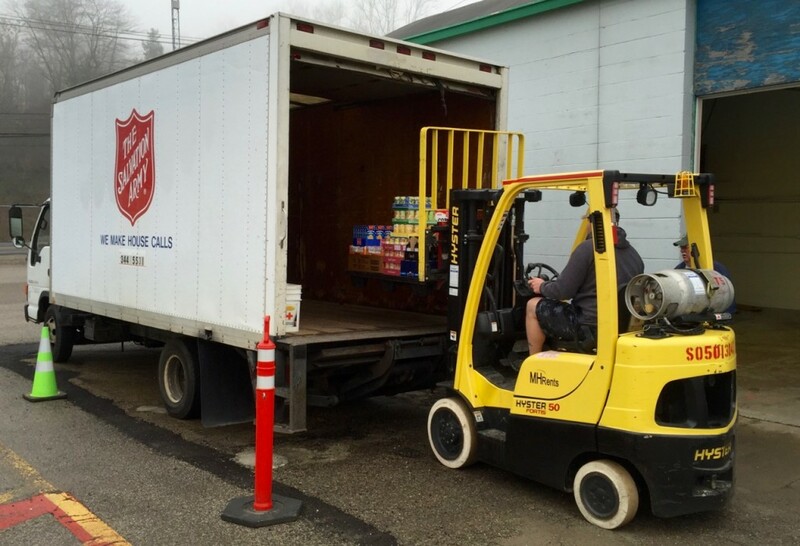 Food distributions will continue over the next 12 weeks. 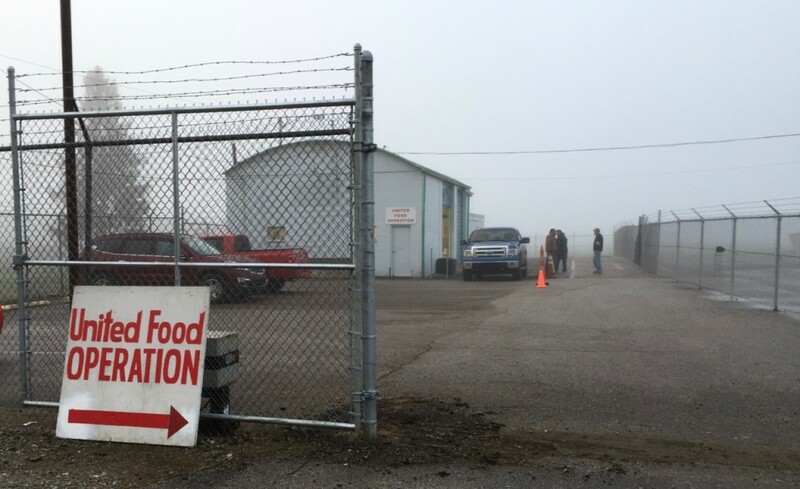 It was still foggy at 8:00 A.M. when UFO volunteers began receiving the pantry vehicles at the organization’s new warehouse and headquarters at Institute Industrial Park. Food pantry vehicles of many types and sizes had no trouble navigating the new set up. Some vehicles need to be loaded by hand. 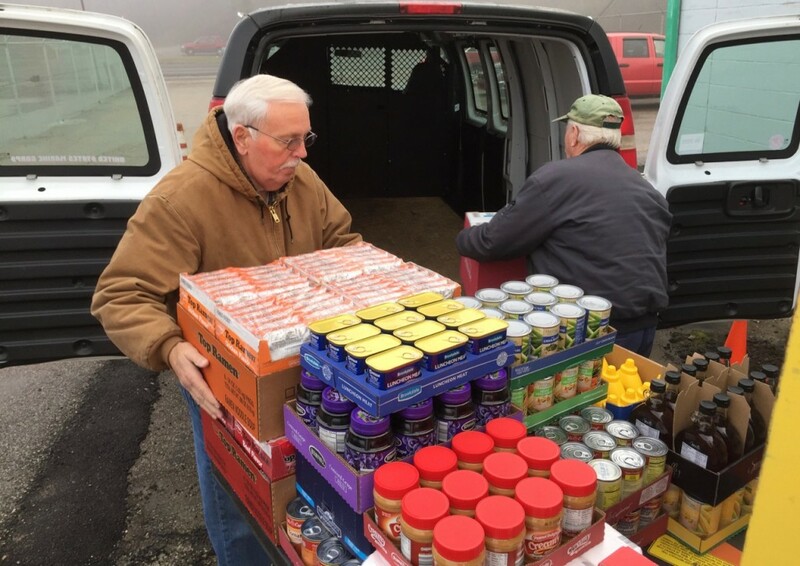 Pictured above, UFO Board members Pam Valentine, a Dupont retiree, and Joe Gresham, Bayer retiree, help load the van from the Five Loaves, Two Fish pantry in Putnam County. 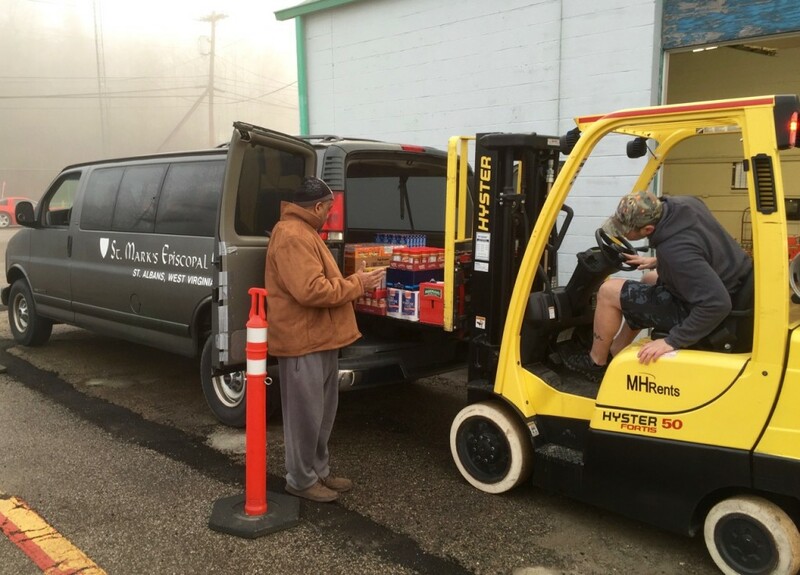 Other vehicles, such as this van from the Saint Albans Food Pantry, can be loaded using the forklift. 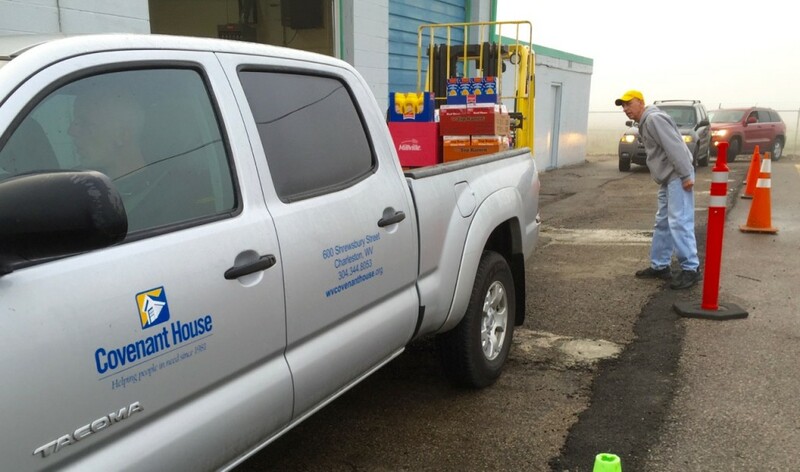 David Bennett of Charleston’s Covenant House gives directions to the forklift operator to help him guide the pallet of food into the truck bed. 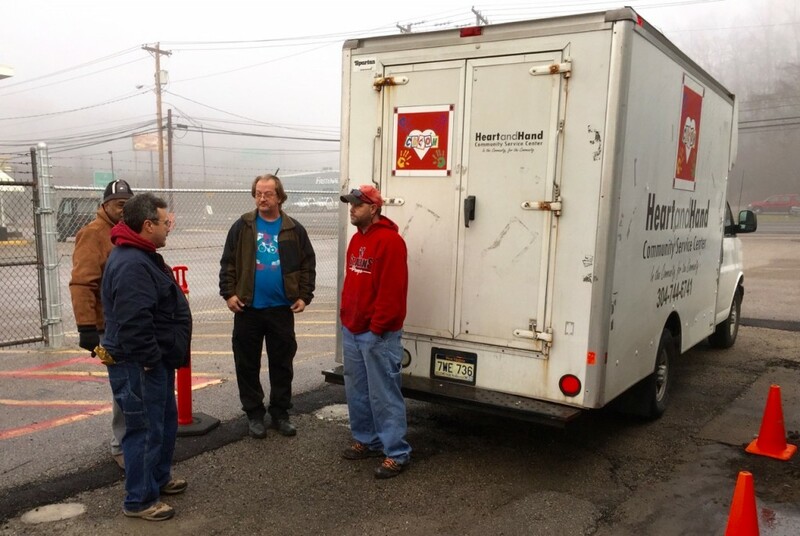 While the truck waits its turn to be loaded, UFO volunteers discuss food distributions with the guys from Heart & Hand Social Service of South Charleston. 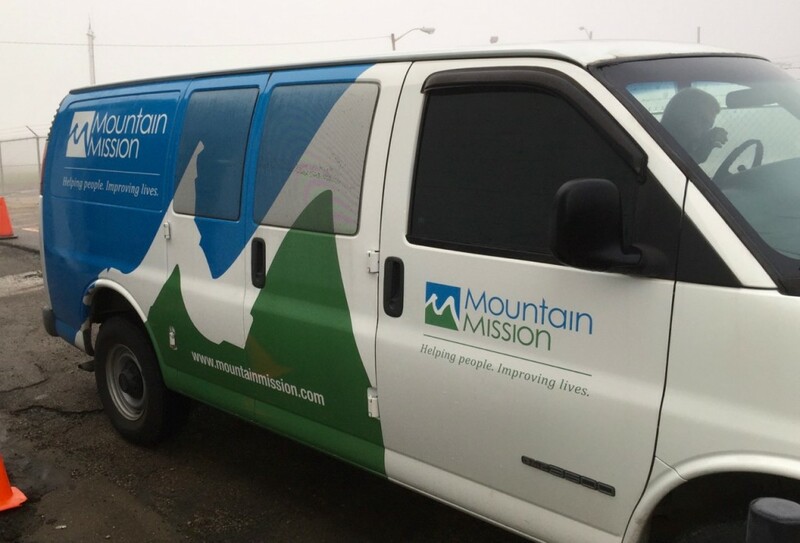 Mountain Mission’s van is next in line to be loaded. The last truck of the day was from The Salvation Army in Charleston. 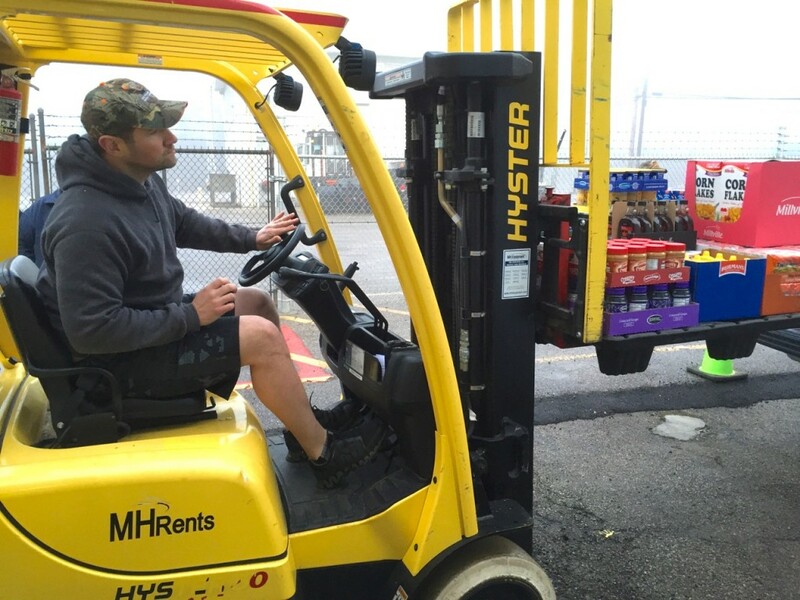 Usually, everything is wrapped up by 10:00 A.M.
New UFO volunteer and certified forklift operator Jeremy Potter, from SGS Petroleum Services in Institute, came ready to work and did a great job maneuvering in tight spaces. The forklift was donated for UFO’s use by MH Equipment of Cross Lanes. United Food Operation is an all-volunteer non-profit organization that works out of donated warehouse space. Throughout the year, it seeks contributions from business, industry, labor organizations, and individuals around the Kanawha Valley. 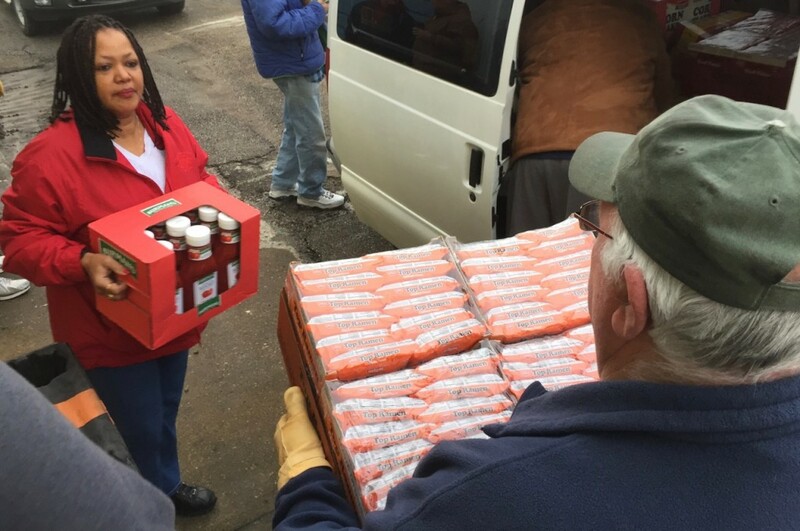 Between January and April each year, it provides food, free-of-charge to 12 independent food pantries in Kanawha and Putnam counties of West Virginia. Because the need for food is so great in our area, UFO can always use contributions of money and non-perishable foods. 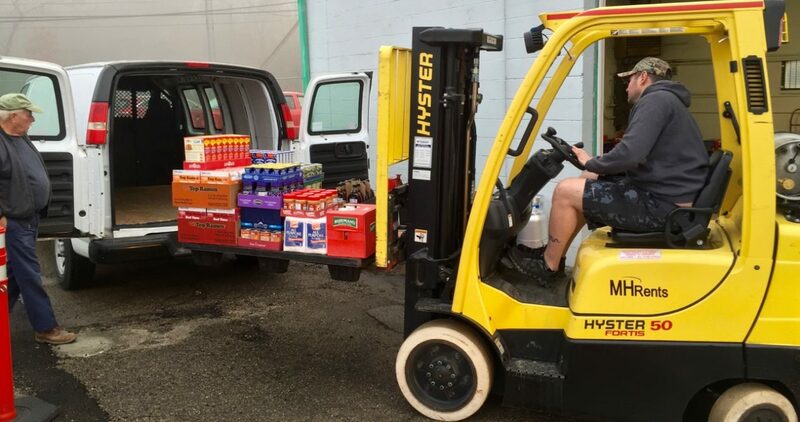 Donating through United Food Operation is a good way to ensure your dollars go to purchase food that will be eaten by those in need and not eaten up by salaries, overhead, and fundraising firms.